Ichiromania returns to Japan: Will he retire, or won't he? TOKYO — There's an adage in Japanese that translates easily to English. "At such a young age he already had his own mind," said Keizo Konishi, a reporter with the Japanese news agency Kyodo. "The older generation tells young people what they should do. Particularly in the structured baseball world." Ichiro has played 2,651 major league games since joining the Seattle Mariners in 2001. Konishi has seen almost every one; from Seattle to New York, then to Miami, and back to Seattle. Add on hundreds before that with the Orix BlueWave. 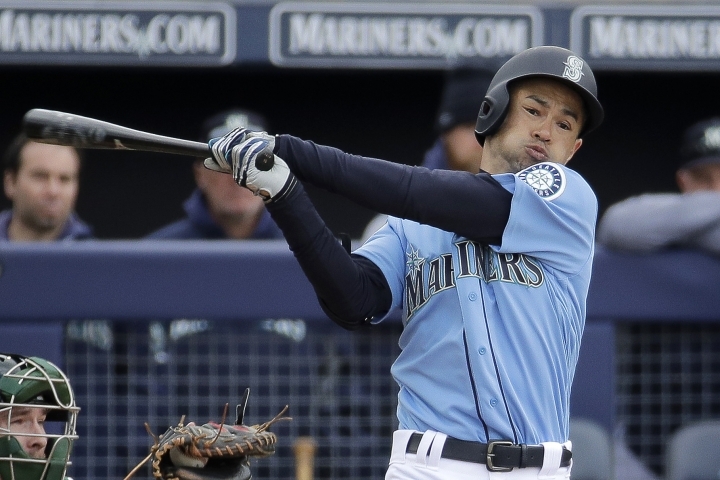 The odyssey returns him to Japan where Ichiro is expected to play in a two-game series when the Mariners and the Oakland A's open the season March 20-21 at the Tokyo Dome. Afterward, who knows? Some Japanese want the 45-year-old to finally retire, and the Mariners have said they want to go with youth. One thing is certain in Tokyo: Ichiromania rules. He's a source of national pride; the first position player to make it big in the majors, countering the perception that the country produced only pitchers, and players like Ichiro were too small. He's revered for breaking through, for his fashion sense, and his Zen-like training. He'll be the first Japanese player inducted into the Baseball Hall of Fame, almost surely on the first ballot. He can also be aloof and arrogant, known to disdain interviews, and often evasive with a habit of turning his back on reporters and disparaging questions he doesn't like. Japanese journalists have often been targets, and organizers say just over 1,000 are accredited for the two games. "On so many occasions he's given me very interesting answers," Konishi said in an interview with The Associated Press. "But he can give me a hard time. He tries for perfect preparation. So he also requires me to be perfect, which is not easy." The baseball editor at Kyodo, Takashi Yamakawa described two Ichiros. "He's acting, I think. He's playing Ichiro," Yamakawa said. "There are two different aspects. There's the very normal, polite Japanese man. And there's maybe the real Ichiro breaking the rules, fighting for himself. He's always thinking in a different way." If Ichiro is the seldom-bending nail, his father, Nobuyuki, was the hammer who put his son through rigorous, well-documented daily baseball training from age 7. "It bordered on hazing and I suffered a lot. But I also couldn't say no to him," American Robert Whiting quoted Ichiro saying in his book "The Samurai Way of Baseball." The book was first sold under the title "The Meaning of Ichiro." Whiting points out that Ichiro means "most cheerful boy" in Japanese. He writes he "was not always so cheerful about practicing, especially during the harsh winter days of central Japan, when his fingers grew so numb from the frigid air that he could not button his shirt." Whiting has spent much of his life in Japan writing about baseball and Japanese culture. He speculated that because of World War II and the American occupation, Japan developed an inferiority complex in relation to the United States. Tokyo's 1964 Olympics and the booming economy of the 1970s and 80s remedied much of that, and Ichiro and pitcher Hideo Nomo further boosted morale. "The athletic field has a different kind of symbolism," Whiting said in an interview with AP. "No American could name a famous Japanese; not a top singer or the prime minister or even the emperor after Hirohito. The Japanese were simply known as people who could make things. But everybody could name Nomo and Ichiro. It had a huge impact on the country's psyche." From its beginning in Japan about 150 years ago, baseball — known as "yakyu (field ball) — has been viewed as a moral discipline and linked to the martial arts and relentless training. Whiting recounts how the first game between Japanese and Americans took place in Yokohama in 1898. Japan won 29-4, and many of those players were members of Samurai families. "Basically, Japanese baseball involves an insane amount of practice," Whiting said. "The whole idea of self-sacrifice and the development of spirit. Japanese baseball starts voluntary training right after the new year and camp starts Feb. 1. American spring training looks like a three-week vacation at the Fontainebleau Hotel in Florida." Whiting called Ichiro "transformational" with five times the buzz that Nomo created just a few years before. "He shocked everybody by how good he was. He is an everyday Japanese position player — not a pitcher — who had what it took to be a big star. It was something people didn't imagine before." Ichiro was must-see TV when he joined the Mariners. Large-screen video displays in central Tokyo played — and replayed — every game as the Mariners won 116 times in the regular season. Ichiro won the American League batting title and was the league's Rookie of the Year and MVP. An electrical engineer and a weekend baseball umpire and coach, Iwao Fukushi recalls getting up to watch the Mariners on TV in Gunma prefecture, just northwest of Tokyo, and then heading to work between innings. "I would go to the office and then watch on the coffee break — just five minutes," he said with a snicker, suggesting it might have been longer. "We saw him every day, and he seemed to always have one or two hits." Fukushi said he believes Ichiro will continue playing after the opening games, or become a coach. Others think he should stop now. Some on social media in Japan say he's being used mostly to sell merchandise, suggesting his value now is largely commercial. "For me, he should quit here," said Takashi Yamakawa, the baseball editor. "Perfect. It's a beautiful story." "Whatever he does, take your sunglasses," Whiting added. "Because when he comes to bat, everybody in the stadium will be shooting a flash camera or an iPhone with a flash."